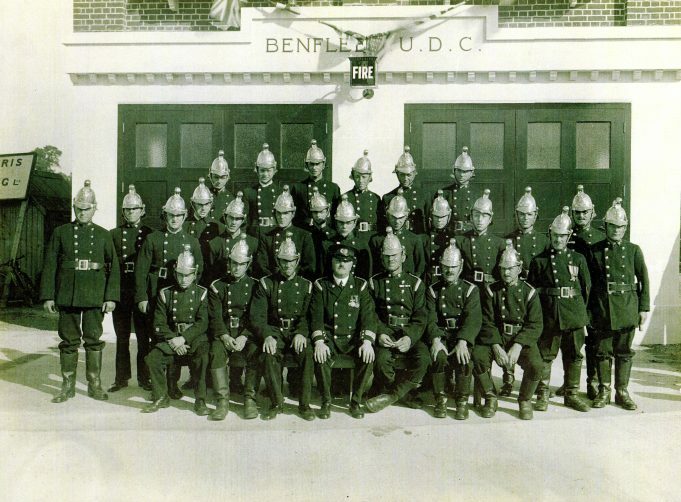 We already have a number of contributions on the site detailing the beginning and development of the Fire Brigade in Benfleet. These photographs have been kindly donated by the Essex Fire Museum in Grays and show how the engines developed over the early years of the service. 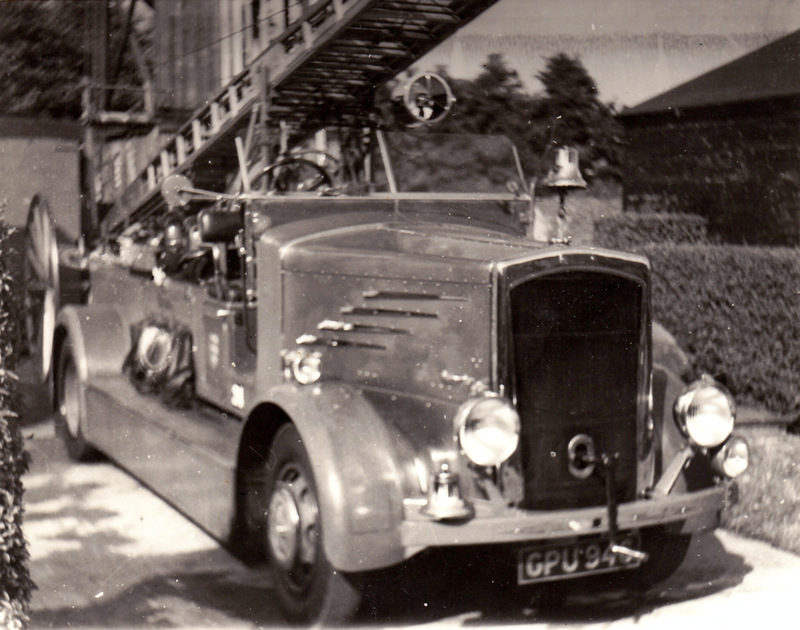 We are indebted to the Essex Fire Museum in Grays which is open to the public by appointment only. The volunteers & sponsors. 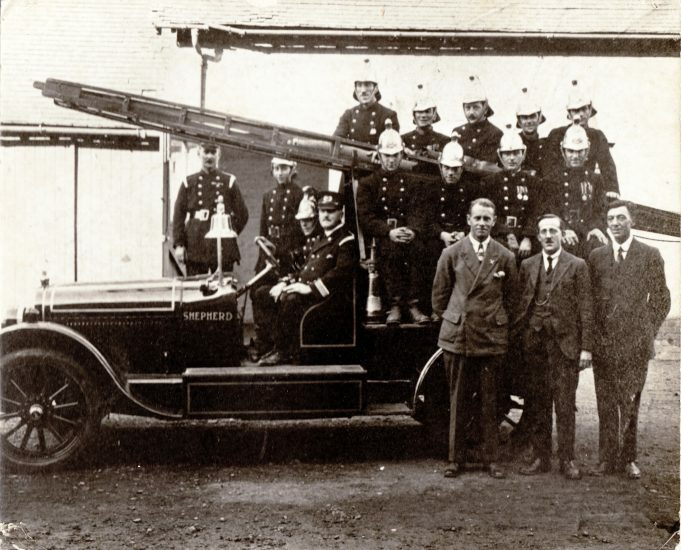 Here we see a group of local dignitaries proudly standing in front of the new engine. 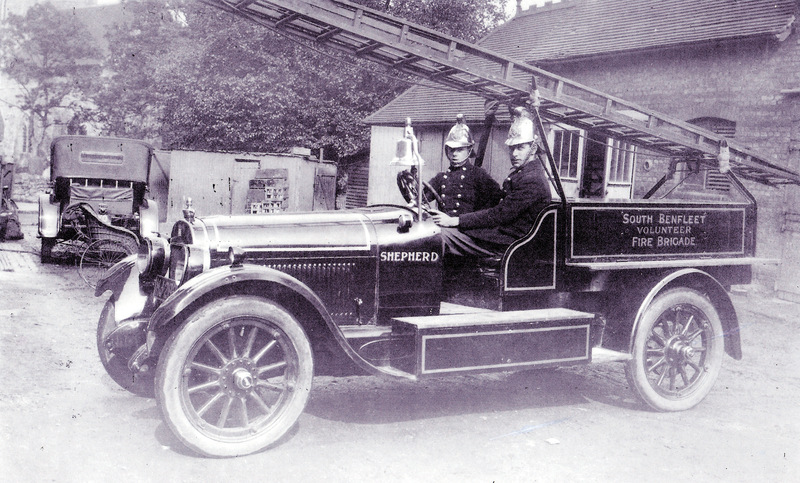 The new tender with further trailer equipment acquired circa 1926. 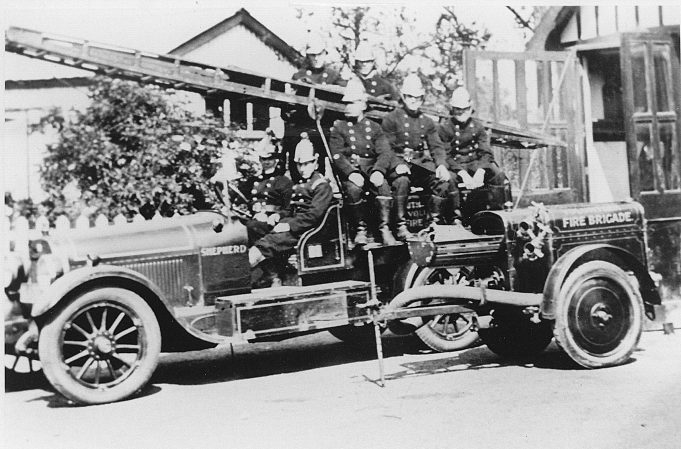 The old fire station circa 1931. 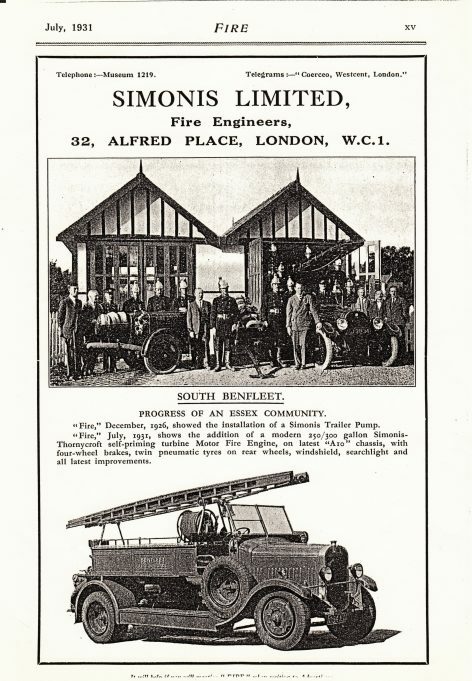 The brigade acquired a new engine and we can see from this advertisement they had old and the new engine. The old fire station circa 1931. 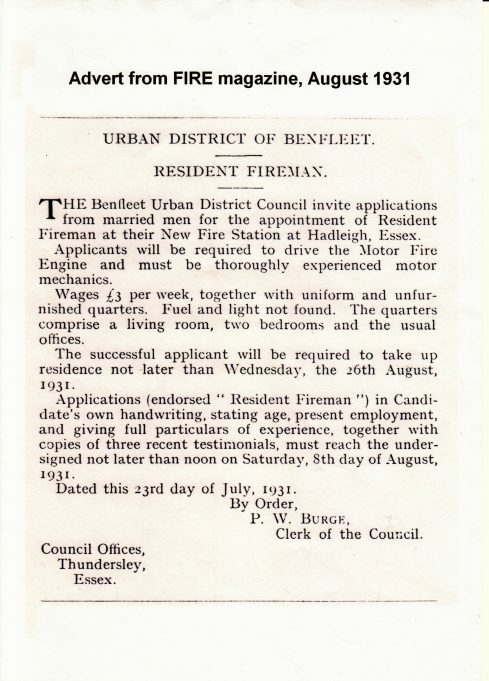 The brigade were recruiting new staff. 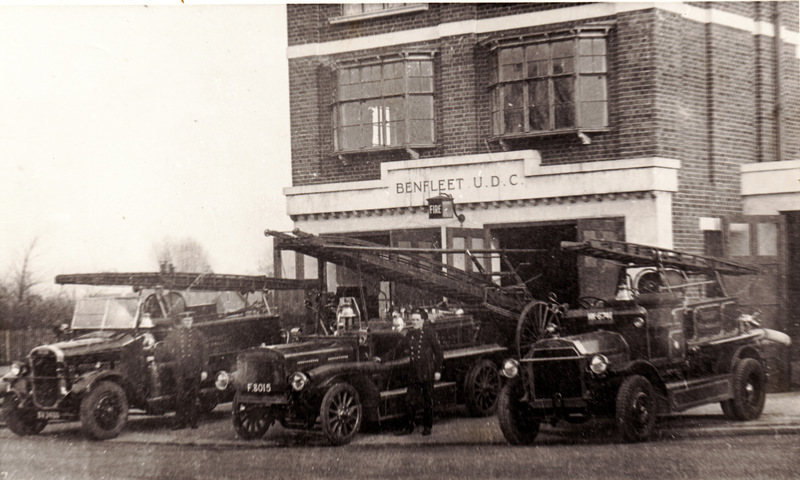 By 1936 the brigade were housed in their new station at Hadleigh and this picture shows 3 of the latest engines on the forecourt. For those of you who like technical information we are told that from left to right the tenders are a MORRIS COMMERCIAL, a DENNIS MERRYWEATHER and a DENNIS MERRYWEATHER N TYPE machines. Note they still used a hand bell to warn of their approach. Let's hope we don't have 'a shout ' while we smile for the camera. Finally we have a post war DENNIS fire engine pictured here at the council offices. This machine was registered to the council on 24th August 1938. 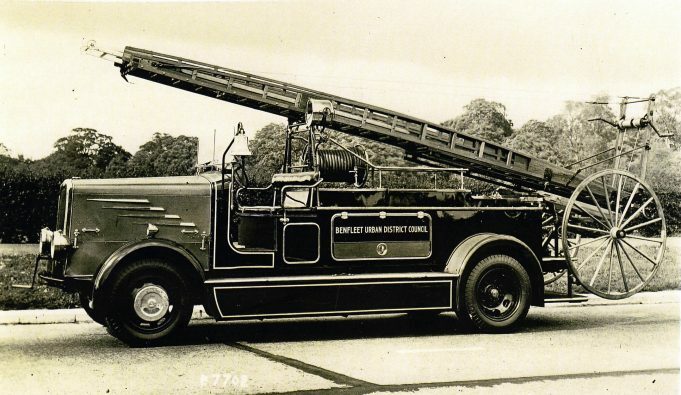 Note they still used a hand bell to warn of their approach.